You are sure to have a great day out at this artsy fair! It will give you the opportunity to buy or commission quality hand crafted items from some of Britain’s finest artists, designers and craftsmen. Children’s toys, jewellery, bags and accessories, handcrafted wood and furniture, vases, coats, hats, clocks and many more are waiting to be discovered by art lovers and collectors. There will be quite a few new faces compared to the last year, bringing with them a whole host of different crafts and skills, with greater emphasis on working demonstrations. In addition, the show will feature a number of wonderful tasty food halls. Don’t miss the hourly glass blowing demonstrations by Ed & Margaret Burke of E & M Glass. Based in Shropshire they bring their mobile glass blowing studio and present 6 different demonstrations each day, producing an array of vases, bowls, glasses and abstract pieces. A new demonstration area to this show is the Chainsaw Carving arena, where carvers will work over 3 days to produce their masterpiece. They will also do daily speed carves where you can see a carving taking place before your very eyes. Since these carvings are auctioned off right after the speed carve, you will have the chance to get a carving directly from a first-class carver. It is also a great opportunity to do your early Christmas shopping! 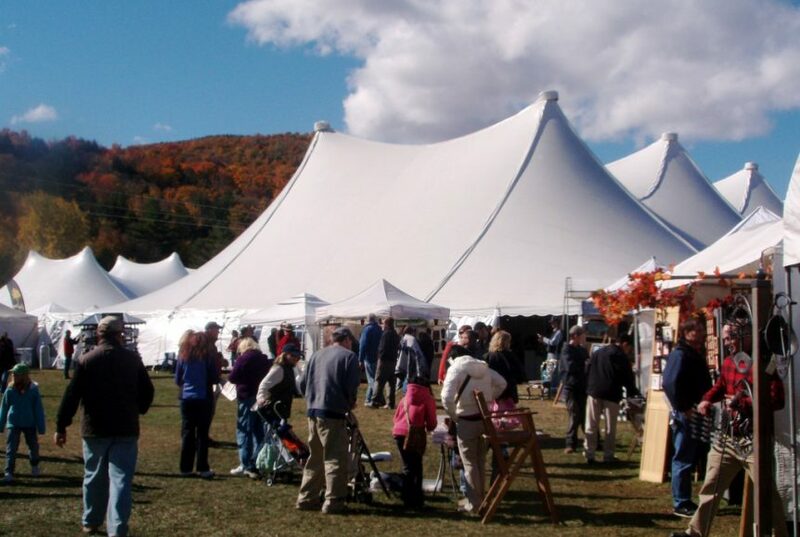 The event is organized by the Living Heritage Craft Shows, with nearly 40 years of experience in organizing game & country shows, craft shows and food festivals all over the country. They organized their first Craft Fair in 1980. 1992 saw their very first Country Fair at Himley Hall which was an amazing success. They also host English Open Chainsaw Carving Competition, that continues to draw the world’s top chainsaw carvers to compete for the coveted title.